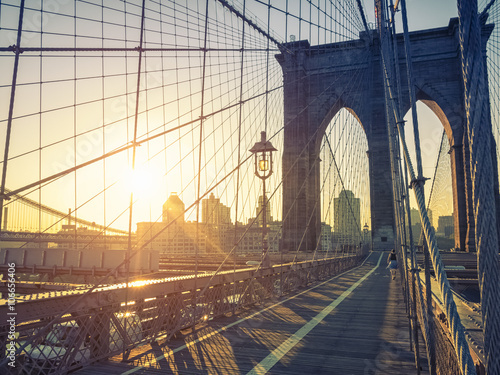 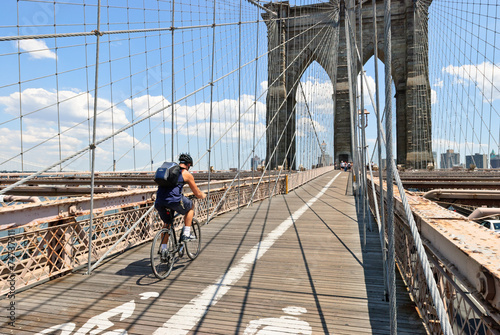 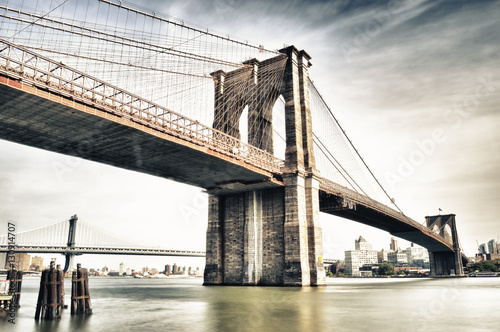 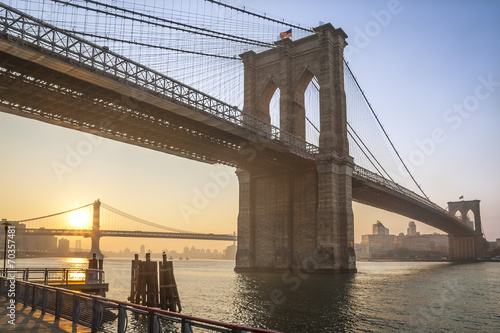 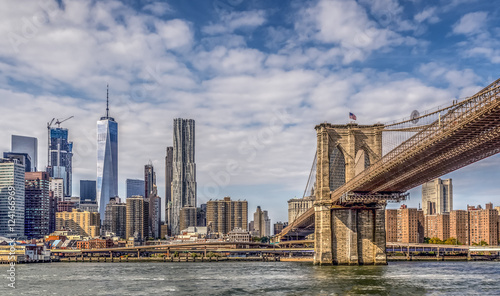 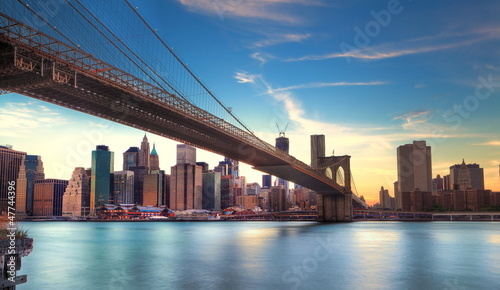 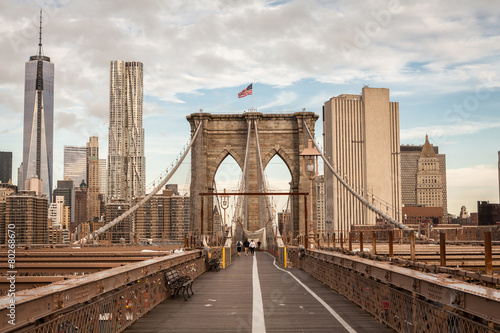 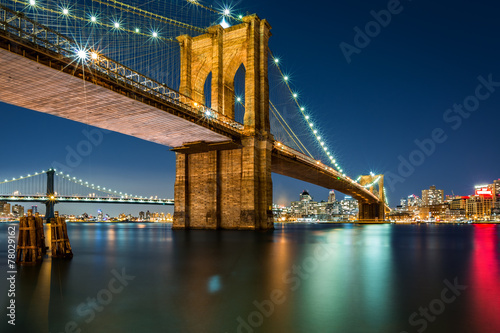 The Brooklyn Bridge in New York, USA. 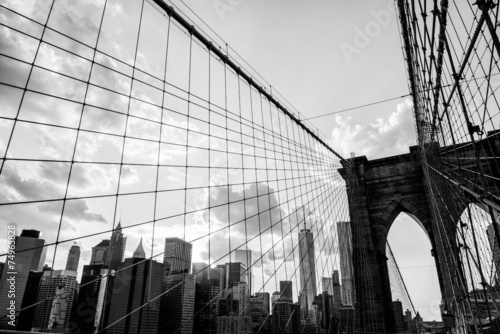 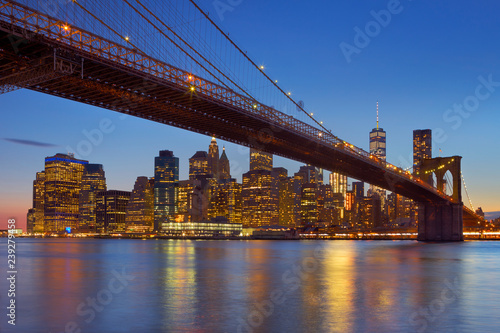 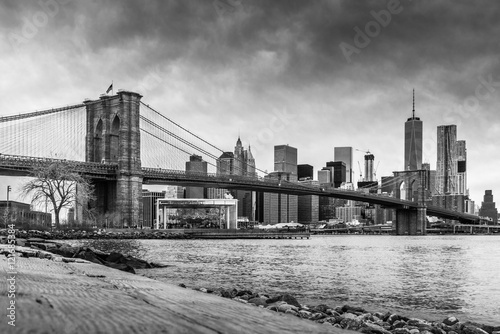 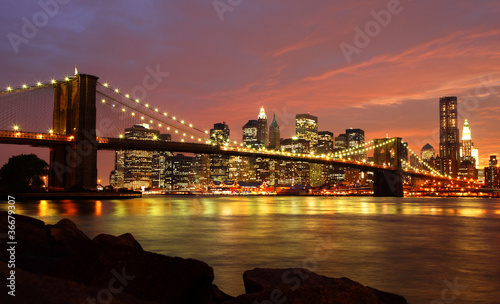 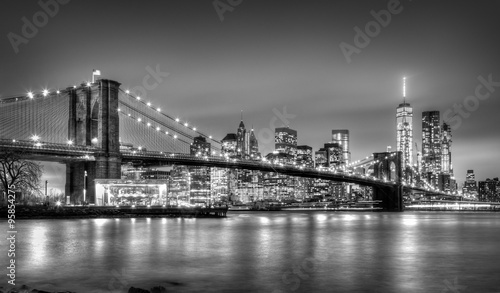 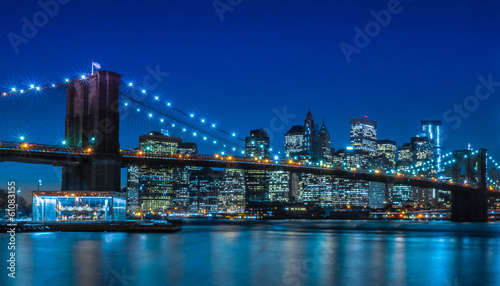 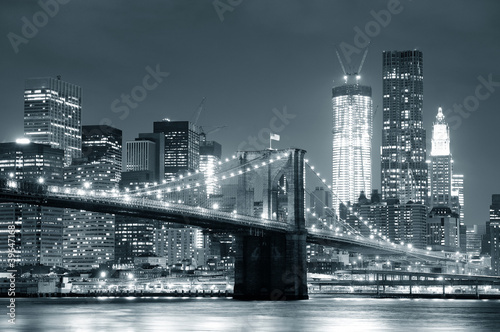 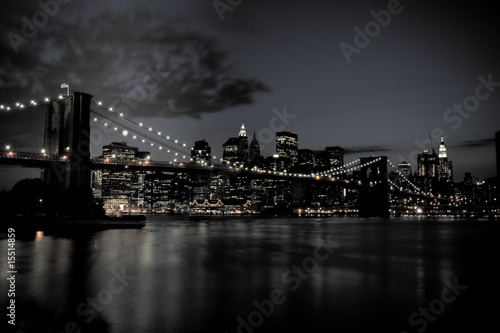 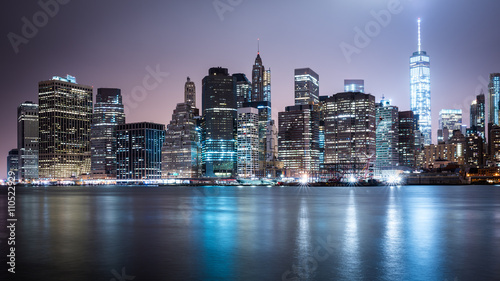 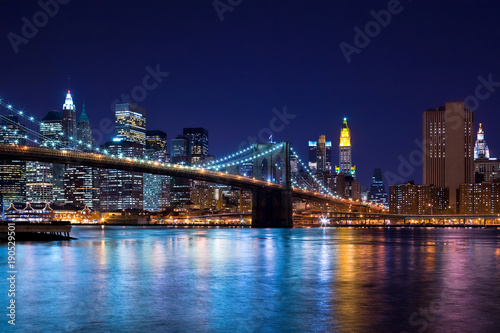 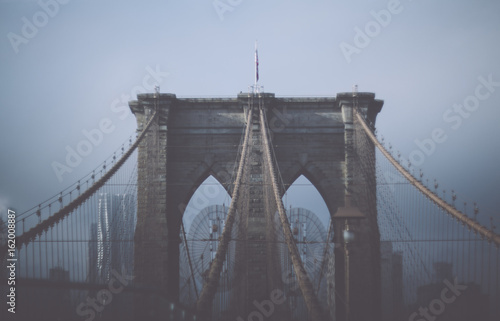 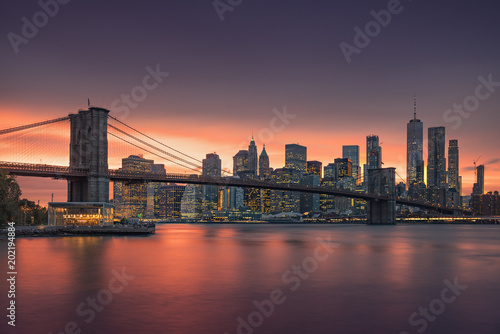 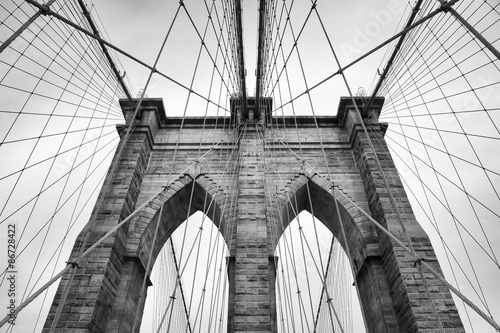 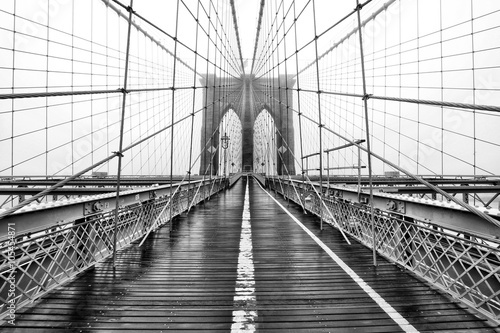 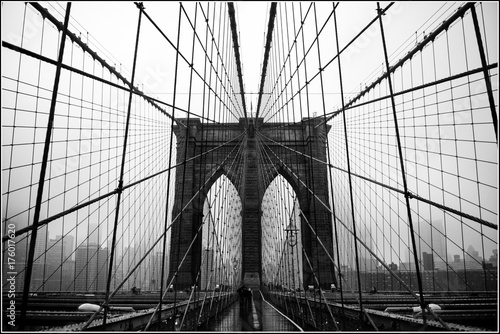 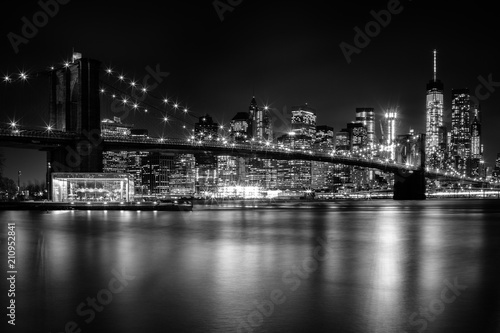 Black and white panoramic photo of Brooklyn Bridge at Night, NYC. 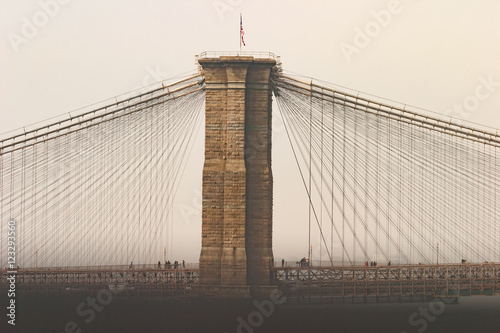 Brooklyn Bridge view with the flag of the United States in New York City.